I wore this skirt in February and had nearly forgotten about it until I was purging some items in my closet this weekend. (Don't you love it when that happens?!) I love the print on this skirt since you can really play up the dark hues in colder months but the pastels make it transition well into spring and summer. Such a beautiful skirt! I love it on you! 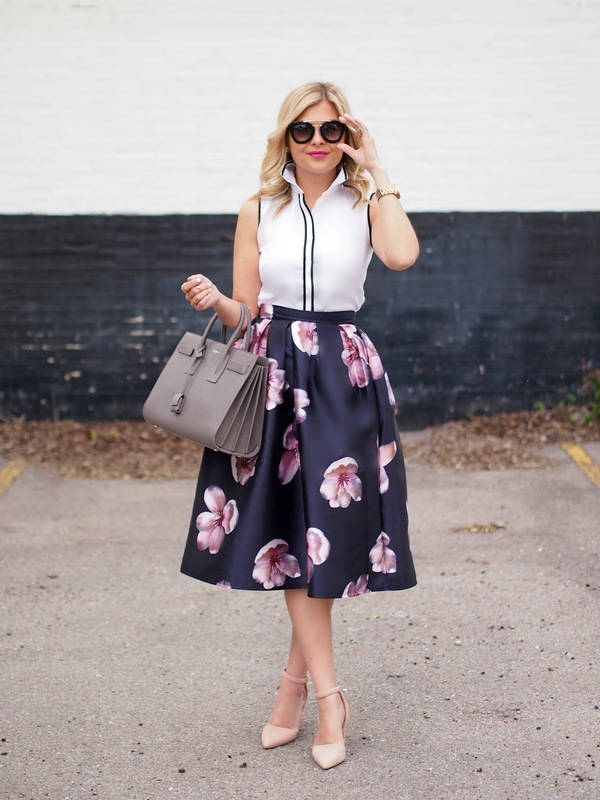 Gorgeous skirt, love this look -- so chic! Love this look! That skirt is so lovely. Perfect for the summer! Amazing skirt and a must have bag! You always look so inspiring and stylish! Such a lovely and ladylike outfit! That skirt is absolutely adorable!! I received this skirt too and I have been trying to think of ways to style it! I love everything you do so thank you for the inspiration! Have a great week! 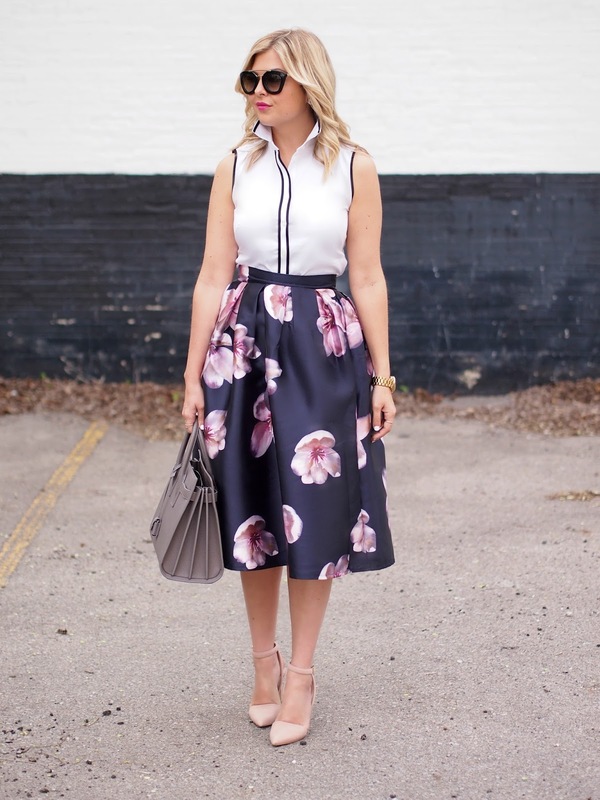 I love all of the options of midi skirts Chicwish has right now! Perfect styling of this one! Love the skirt and how you styled it!! Don't you love when you pull out "forgotten" items! Love this combo! Loving that skirt! So flattering and lady-like!